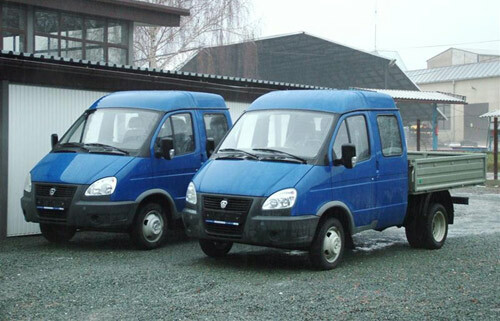 Very popular GAZelle modification is Double Cab model. Double cabin will easily take 6 fully grown passengers. GAZelle 33023 is most often equipped by lorry platform, or 3-way tipper. However used equipment is just up to you and your fantasy! Same as other GAZelle models, also this one is powered by several engines. Basic engine is well-proven turbodiesel Andoria engine, cheaper alternative is petrol engine ZMZ or UMZ, which is very popular choice with LPG / LNG / CNG compressed gas systems.